The amount of data now collected by companies about their customers is alarming to many. Their unease lies in the collection of information like surfing habits, physical location, and preferences from other websites, data which is often shared with marketing companies. The new report proposes the creation of a voluntary, but enforceable industry code of conduct to ensure that companies give consumers clear notice about what data is being collected and exactly how it is being used. 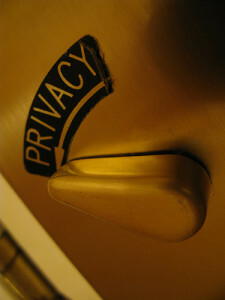 It would give consumers the opportunity to ‘opt out’ of, or decline, some or all of that data collection. Consumers would also get the ability to correct errors in the information. The code would also set clearer limits on the use of this information and would require companies to secure the data they gather. [S]everal of the popular free websites and services on the internet are free because they sell non-identifying user data and surfing habits to marketing companies. […I]f everyone opts out, we’re all going to have to start paying for Facebook and Gmail and a lot of the other things we’ve been using for free all these years. They’re not just supported by display advertising — our surfing habits are being sold, too. You can have free or you can have not free, but both cost something online. It will be interesting to see how things pan out regarding the recommendations from the FTC and the Commerce Department. Image by Rob Pongsajapan, used under its Creative Commons license.